Excellence Photo Booths offers Modern Enclosed & Open air concept photo booth rentals throughout the Tulsa Metro area. Our Modern enclosed booths are equipped with DSLR cameras, LED Beauty lighting, and super-fast dye-sub printers. 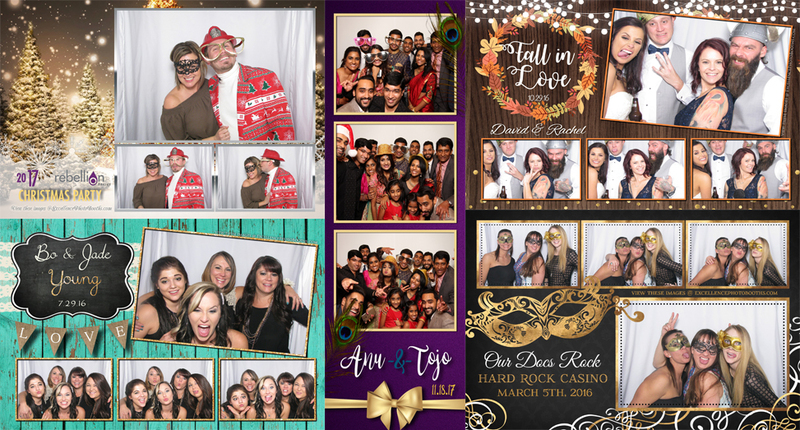 With a great selection of fun props, the latest equipment technology, professionally designed photo templates, and professional staff, we offer a modernized photo experience to keep your guests talking and using our on site social media kiosk to post their photos all over Facebook, Twitter, and Instagram. Props and Prop stand — You name it, mustaches and lips on a stick, funny hats, wigs, feather boas, masks—we’ve got you covered! Included with every rental. Thanks very much for your recent addition to our anniversary event. I was impressed with how well everything ran. It is nice to have something like the photo booth and not have to worry about anything at all. I picked up one of your cards at a wedding where your photobooth was in operation. Although it was not my event, I was really impressed with how much fun people had with it. It looked like a great way to go for a unique party idea. Jake and I have worked together three times now and all three of the events were fantastic. Smooth load in, great props, no technical glitches and his booth doesn’t blow circuits in old buildings (which is a huge bonus when you’re the planner working in a historic place.) The photos are high quality and the pricing is very reasonable. Excellence Photo Booth is a great company to add fun and lasting memories to your next event. Fun, professional staff to answer all your questions. We highly recommend their services.